Why is the stock market down today? And why do stocks sometimes rebound the next? The answers to these questions are never simple, or particularly comforting. Lately in particular, the kind of gyrations — and numerous free falls — the stock market has undertaken are enough to give even seasoned investors agita. Especially after a decade-long bull market, the recent stock market roller-coaster ride can be jarring. But market analysts and investment managers aren’t fazed by stock market volatility, because they have come to expect it. They also have insights most of us don’t. 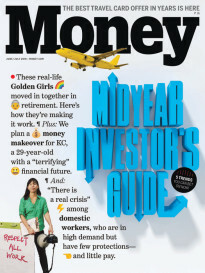 MONEY asked these pros what people saving for retirement or building up a nest egg really need to know about the stock market right now, and what books can help you unlock the knowledge to keep from obsessing over your 401(k) with every market movement. “Stocks for the Long Run is a book that puts things in proper perspective,” says Joseph LaVorgna, managing director and chief economist for the Americas at French investment bank Natixis. When the headlines are full of dire-sounding news and worrisome predictions, it pays to take a step back and evaluate the market the way the pros do. “You want to get some distance from things,” LaVorgna says. Being riveted to the daily market news cycle can cause you to miss the forest for the trees, so to speak. While market shakeups can be a good opportunity to check in with your portfolio and make sure that your asset allocation is in line with your retirement goals, you shouldn’t be looking at your retirement fund balance every single day, by any means. Stocks for the Long Run gives the average investor permission to look at the big picture and not sweat the details. 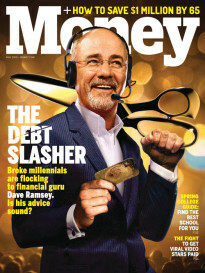 “The Money Answer Book is a great choice for novice investors to get onto solid financial footing,” says Robert Schmansky, founder of Clear Financial Advisors. If you’re relatively new to the market — especially if you’ve never weathered a correction or a bear market before — normal market movements can feel threatening to your financial stability, and can cause people to dump their stocks in a panic (never a good idea). If you feel helpless and want to do something, this book can give you a good foundation. Mitchell Goldberg, president of ClientFirst Strategy, says the best advice for ordinary investors is to keep things straightforward and not assume that a more complex investment product is necessarily a better choice for you. He recommends One Up on Wall Street, by mutual-fund management legend Peter Lynch, for insights into how to translate that into a winning long-term strategy. Even if you’re knowledgeable about the stock market in a broad sense, a surge of volatility can rattle your nerves. Schmansky recommends this book for intermediate or advanced investors who still feel like they need a little guidance when the market heat maps are all lit up in red. “Skousen makes the case for intentional diversification, minimizing the ‘shiny’ growth stocks that very often lead market run-ups and crashes,” Schmansky says. Too many investors keep more of their money in stocks than their willingness or ability to take on risk would dictate, simply because they don’t know where or how else to invest that money. Schmansky says Investing in One Lesson, which was published just before the 2008 crash, speaks to a similar dynamic playing out among investors today. “This book covers timely concerns investors have with Wall Street, government policy and how it all impacts their 401(k) balances,” he says.